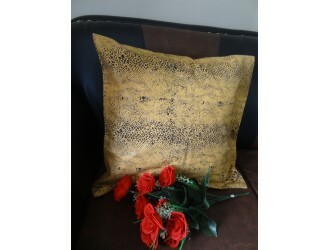 Made of yellow brocked silk fabric with 4 tassells on 4 corners. 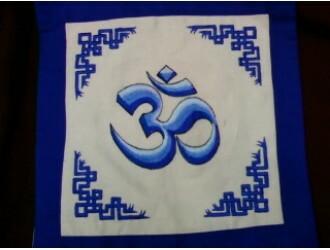 Cotton lining insi..
100% cotton fabric with auspicious sign Hindu Om embroidered on front. 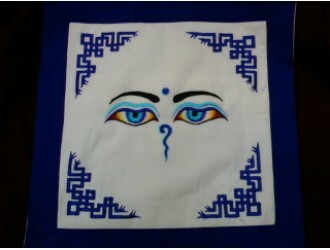 Zipper open back to insert ..
100% cotton fabric with auspicious sign Buddha eyes embroidered on front. Zipper open back to insert..
Made of 100% wool quality, single patterns cable knit cushion with all round knitted frill as decora..
Made of 100% wool quality, double patterns cable knit cushion with..
Made of 100% wool quality, Double patterns cable knit cushion with all round knitted . 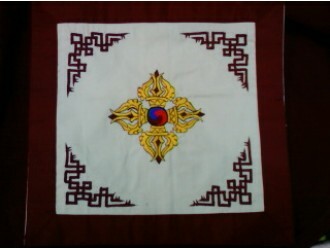 B..
100% silk fabric with auspicious sign Endless Knot Patchwork on front. 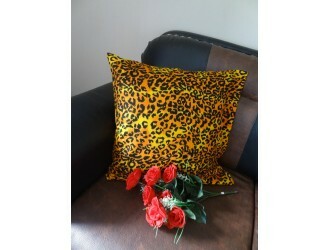 Zipper open..
Made of 70% Pashmina+30% Silk blended with Leopard fur print fabric. 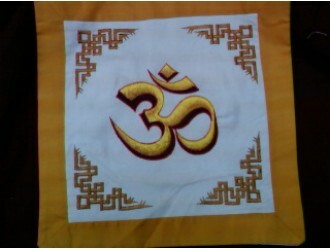 cotton lining inside and ..
100% cotton fabric with auspicious sign Mandala embroidered on front. 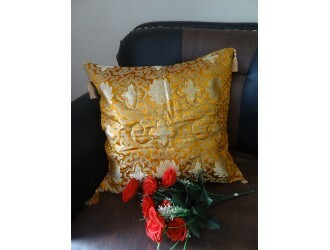 Zipper open back to in..
Made of 70% Pashmina+30% Silk blended with Snake skin print fabric. 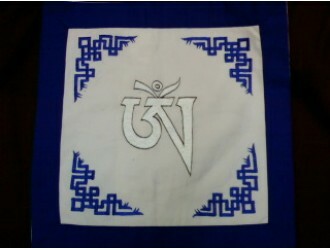 cotton lining insid..
100% cotton fabric with auspicious sign Tibetan Om embroidered on front. 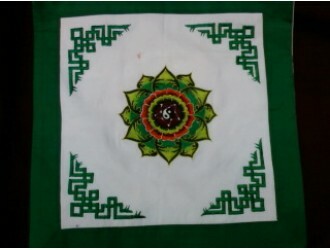 Zipper open ba..
100% cotton fabric with auspicious sign Viswa Vajra embroidered on front. Zipper open back t..